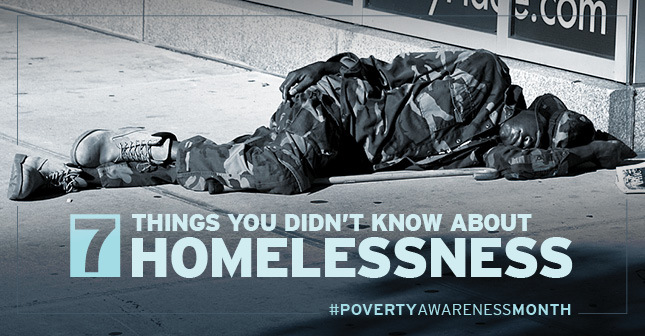 In honor of Poverty Awareness Month, we thought you should know these seven facts about homelessness. 7. You could fill five football stadiums with the homeless population of the U.S.
At least 564,708 people were homeless on a given night in January of 2015 in the U.S., according to the Department of Housing and Urban Development’s (HUD) annual Point-in-Time (PIT) 2015 count. While the PIT count does not fully capture the state of homelessness in the country, it offers an important snapshot that helps direct resources. Source: The U.S. Department of Housing and Urban Development. 6. 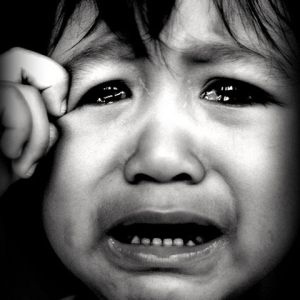 Every year 2.5 million children experience homelessness. That’s almost the entire population of Chicago. One in every 30 children experiences homelessness every year in the U.S. Children are homeless in every city and state nationwide. 5. 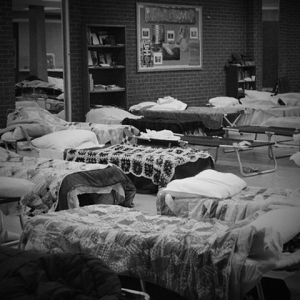 40% of homeless school-age children have a mental health problem. Experiencing homelessness as a child may lead to changes in brain architecture, one report notes. These changes can hinder learning, the handling of emotions, the forging of relationships, and more. 4. 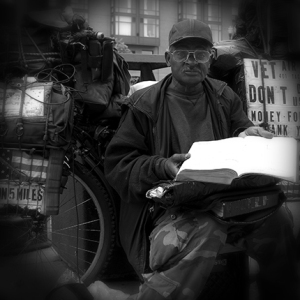 More than half of homeless veterans have a mental and/or physical disability. There are nearly 50,000 homeless veterans in the country, and more than half of them (54 percent) have a mental and/or physical disability. Veterans are more likely than non-veterans to experience homelessness, especially if they have a low income, a mental health problem, or a history of substance abuse. Many also struggle with traumatic brain injuries (TBIs) or post-traumatic stress disorder (PTSD), both big risk factors for homelessness. 3. 12% of people in shelters are survivors of domestic violence. 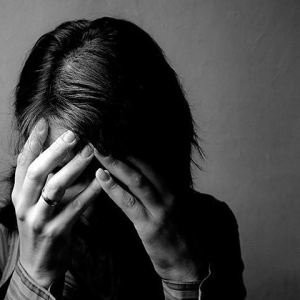 Many people are homeless because they have left an abusive partner. Abusive people may control a house’s finances, and/or keep their partners from socializing. When the survivor decides to leave, he or she may find him or herself without a credit or employment history, money, a support network, or landlord references, increasing their risk of becoming homeless. 2. Being homeless could take 36 years off your life. 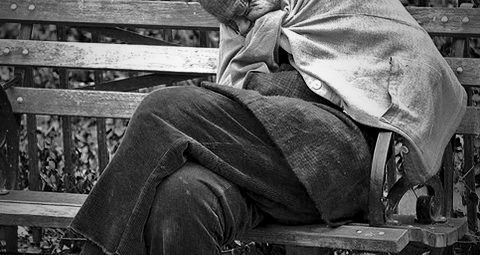 Homeless people have an average life expectancy of 42 to 52 years, while most people can expect to live to 78. This short life expectancy is tragic but not necessarily surprising, given that people who are homeless are more likely to get sick, struggle with mental health and/or substance abuse, and are often victims of violence. Every year on the longest night of the year, cities nationwide mourn the loss of people who died on the street in their communities. 1. Anyone could be at risk of homelessness. While hundreds of thousands struggle with homelessness, millions more are living paycheck to paycheck and at risk of becoming homeless. One unexpected event, like a car breaking down, can put them on the street.